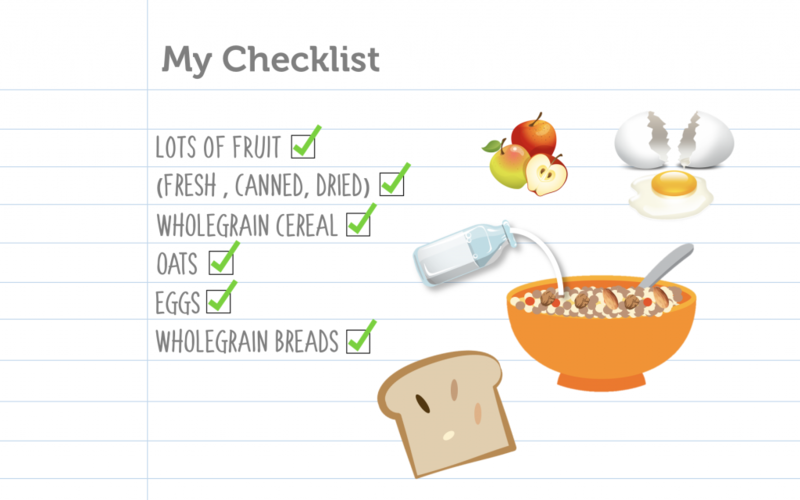 On Monday the 21st of May, we were back at it again with Just Live a Little for My Best Breakfast – School No.2! This time we were at St Pauls in Belfast, were somehow even after their lunch, our P7’s were still looking forward to Breakfast! We had a lovely welcome from the students who were also great helpers, as we had lots of stuff to bring in and show them. We quickly got to the 5 W’s – the whos, whats, when, wheres and why we were there. We discussed the importance of eating breakfast, and were glad to see lots of hands shoot up when we asked if they had all had their breakfast that morning. 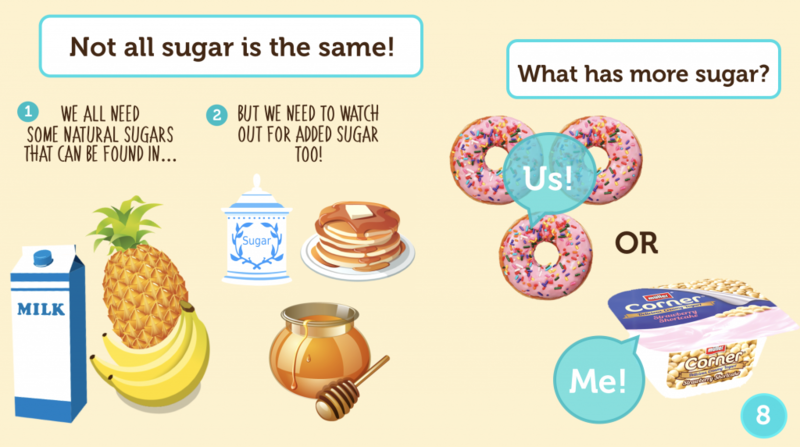 In a ‘trick question’ we asked the pupils what product they thought had more sugar in it – a bag of Tesco bakery doughnuts or a Muller Corner Yoghurt. A few jaws dropped when we revealed it was the yoghurt! what the students got to try just some of what Just Live a Little put in their granola. Buckwheat, which looks a little bit like popcorn, proved a favourite! Following on from a little tasting session of strawberry yoghurt ? and cocoa granola dust, it was time for the students to put their chef aprons on and think of what they would put in their own recipe. 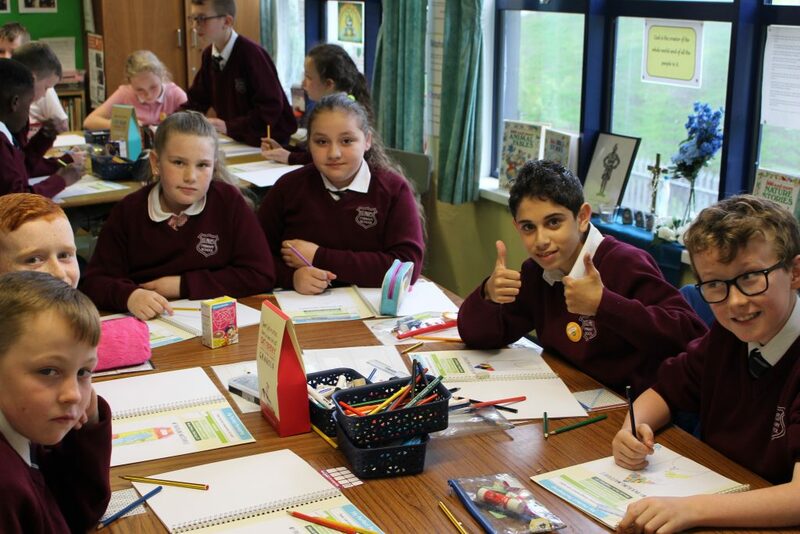 After a serious brainstorming session with tongues out in concentration (that’s what we like to see!)? ?, the next task was to dream up & jot down ? their Perfect Packaging and consider bright colours & characters. 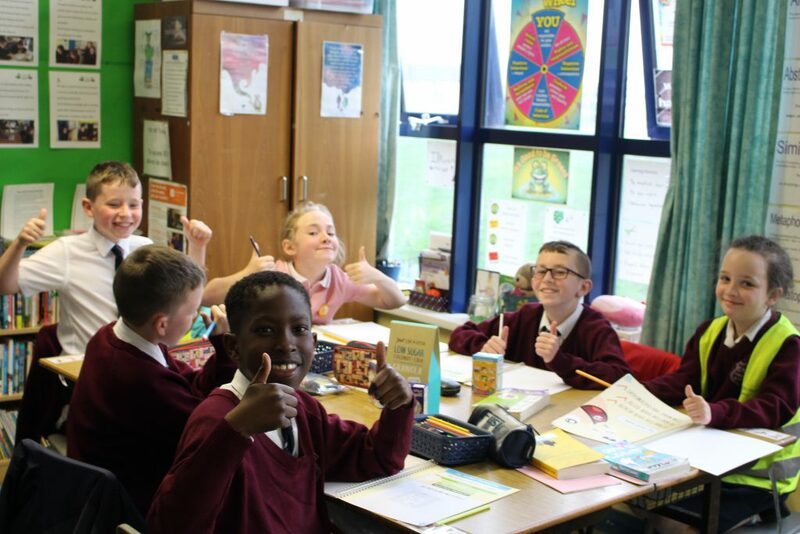 Their teacher added that they had learnt about Superlative Adjectives and Alliteration in their Persuasive Writing module – so there was lots of that thrown in too! 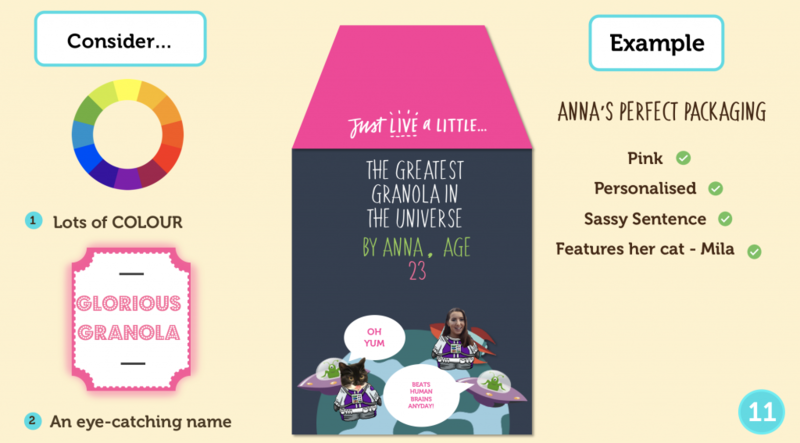 We had ‘Sonic Granola’ and ‘Gangster Granola’ with amazing pops of colour and characters, and lots of other creative names and ideas from busy little hands and brains! We left the students with their blank prototype boxes to draw on and bring to life, and some delicious Just Live a Little bars . We’ll be back shortly to pick up their works of art and add them into the running for winning a family breakfast at Hastings Hotels! 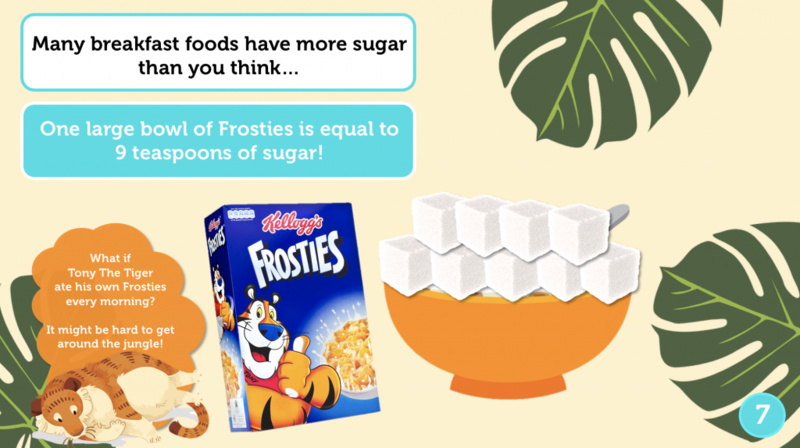 Meanwhile our brilliant students said they had learnt about the amount of sugar was in their brekkie and maybe to try something a little bit different. Thank you so much to Roisin, St Pauls and our eager and attentive P7’s! We loved working with you!